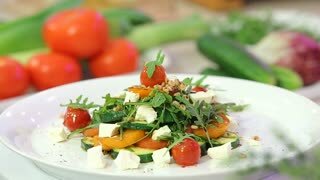 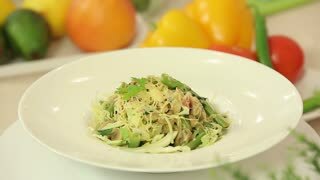 Salad with veal and vegetables sprinkled with parmesan cheese. 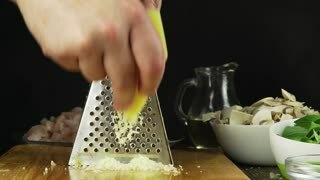 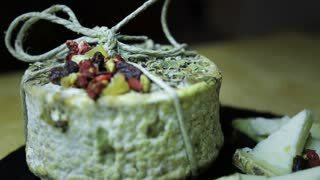 A chef rubs parmesan cheese. 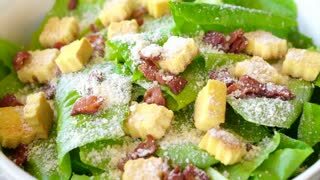 Delicious salad sprinkled with parmesan cheese. 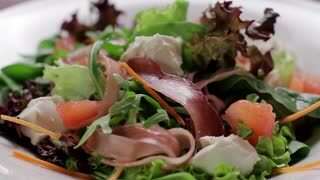 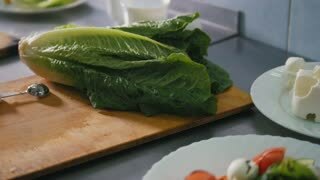 Close-up of salad ingredients. 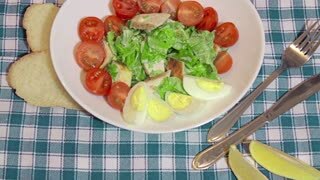 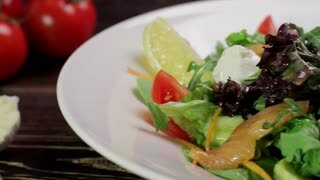 Salad with salmon, vegetables and mozzarella cheese. 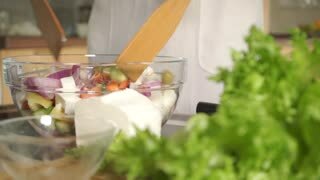 Pours salad with olive oil.